Troops had gathered on three sides of the sit-in and tractors were preparing to remove stone and metal barriers, but protesters joined hands and formed rings around the sit-in area to prevent them. Some drummed and waved national flags as they mingled in the street, while others took shelter from the sun under parasols and makeshift tents. It said there were continuing attempts to disband the sit-in. 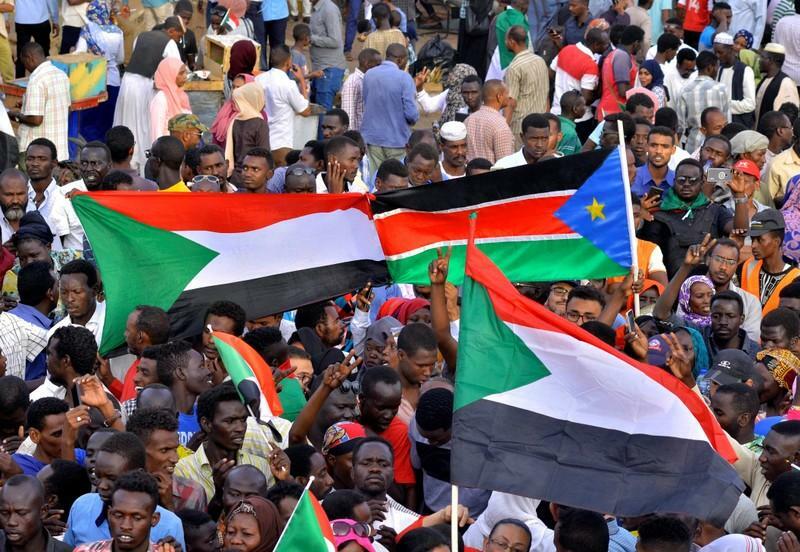 Since then the head of the military council and of Sudan’s powerful National Intelligence and Security Service (NISS) have both been replaced, as protesters have continued to call for change. On Monday the military council said it was restructuring the joint forces command, appointing a new chief of staff for the army and a deputy. Britain’s ambassador to Sudan, Irfan Siddiq, said he had met the deputy head of the transitional military council, Mohamed Hamdan Dagalo, and had “asked for clarity on whereabouts of former President Bashir and other senior former regime figures”. When the military announced Bashir’s ousting, they said he had been arrested and was being kept at a “safe place”. Sudanese sources told Reuters that Bashir was at a presidential residence under “heavy guard”. Siddiq said on Twitter he had also requested the reform of the NISS and the release of detainees, as well as the cancellation of all bureaucracy and permits for delivering humanitarian aid. Dagalo, known by his nickname Hemedti, heads Sudan’s Rapid Support Forces (RSF), which human rights groups have accused of widespread abuses in the western region of Darfur. 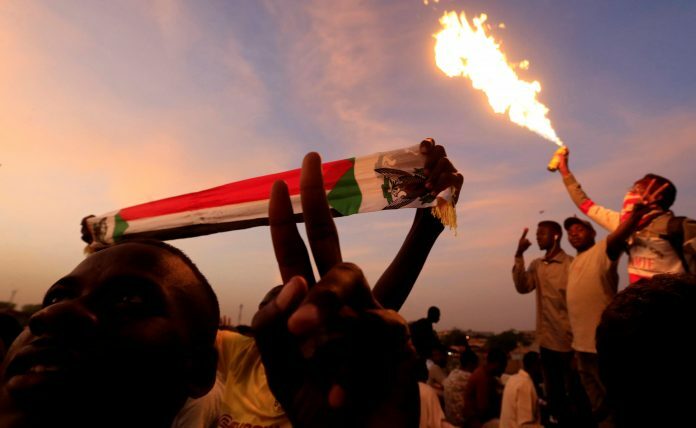 Sudan’s government has previously denied wrongdoing by the RSF.